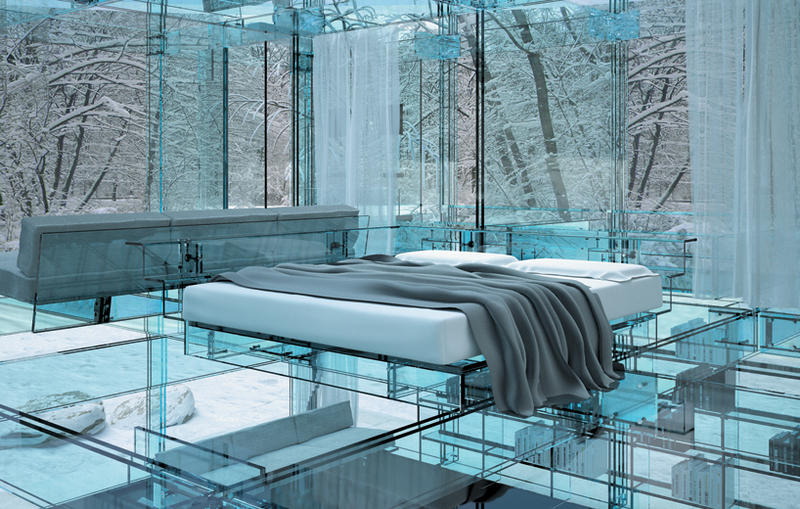 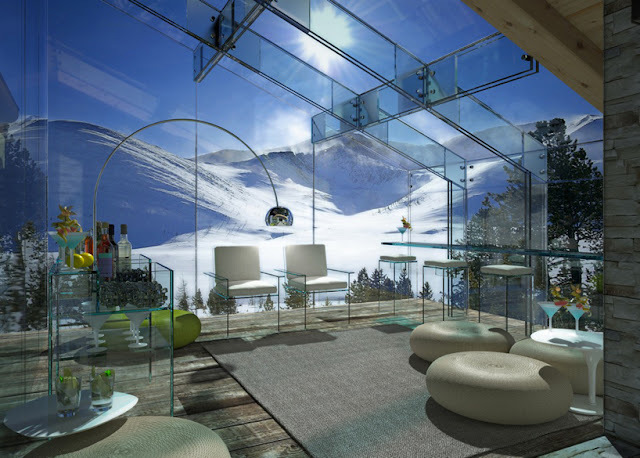 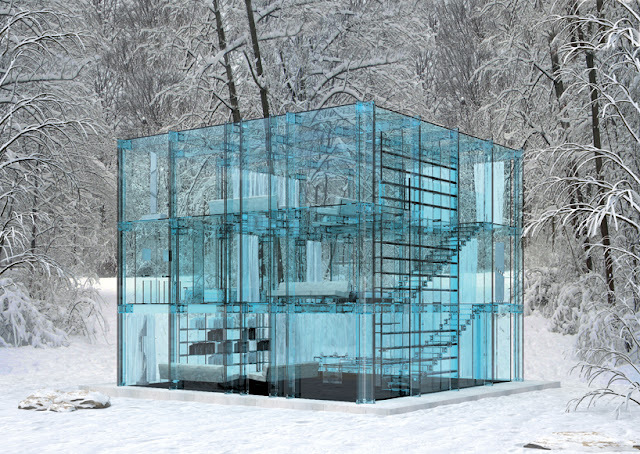 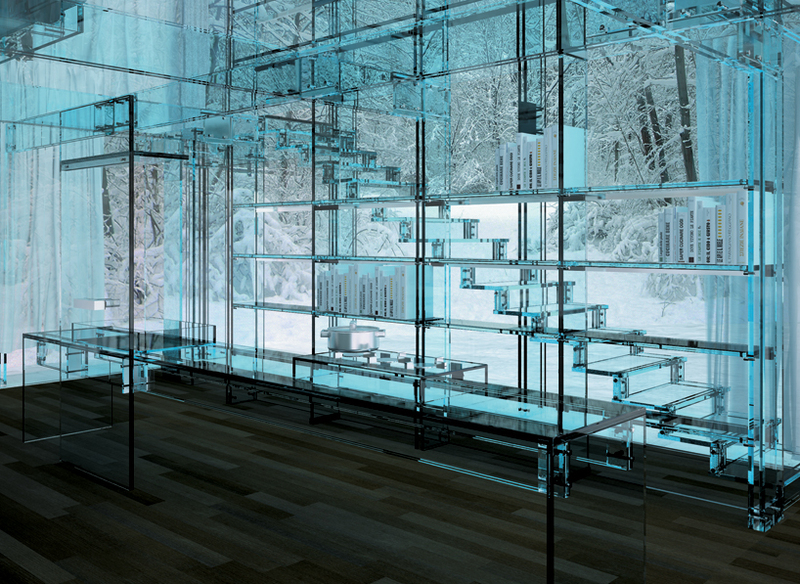 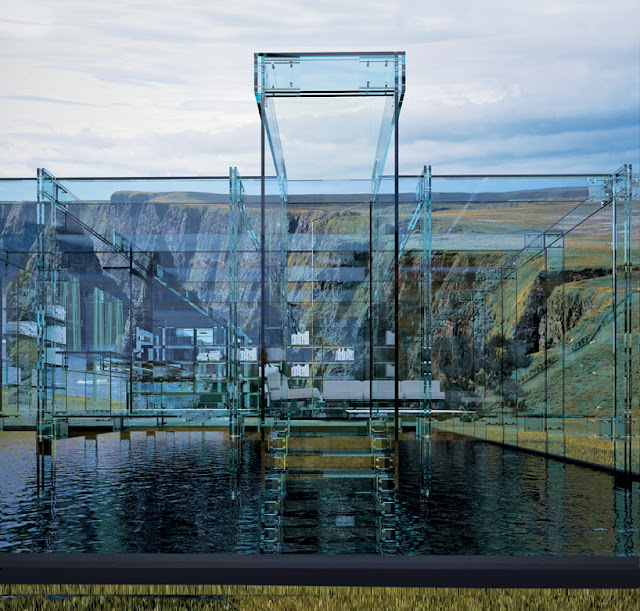 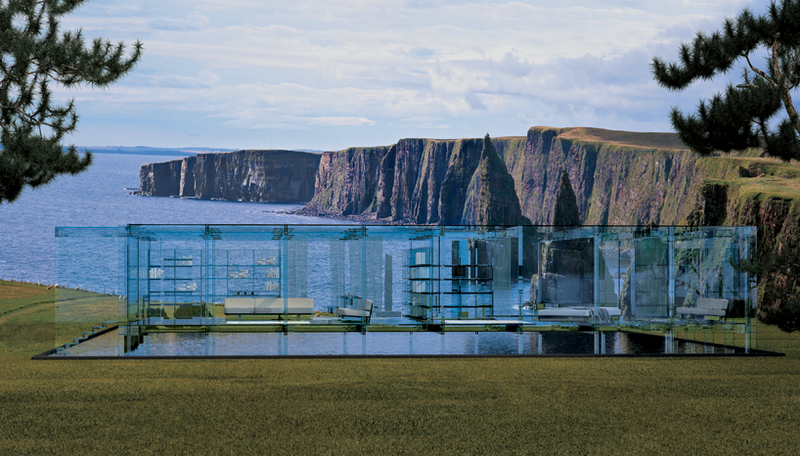 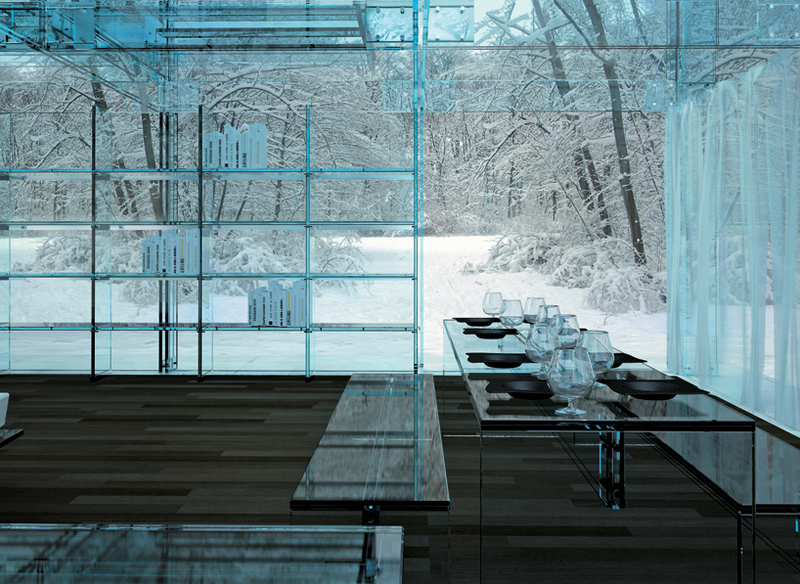 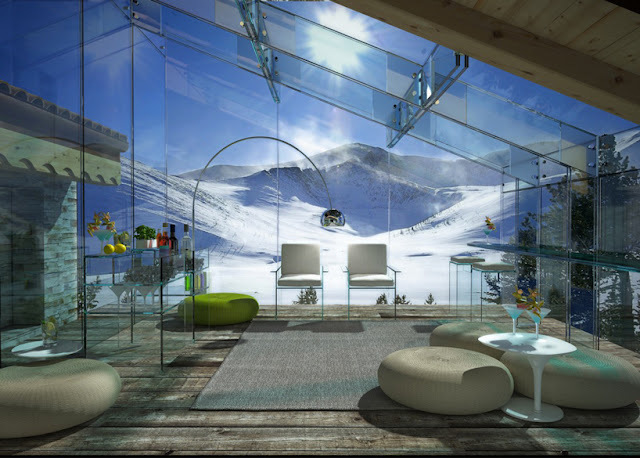 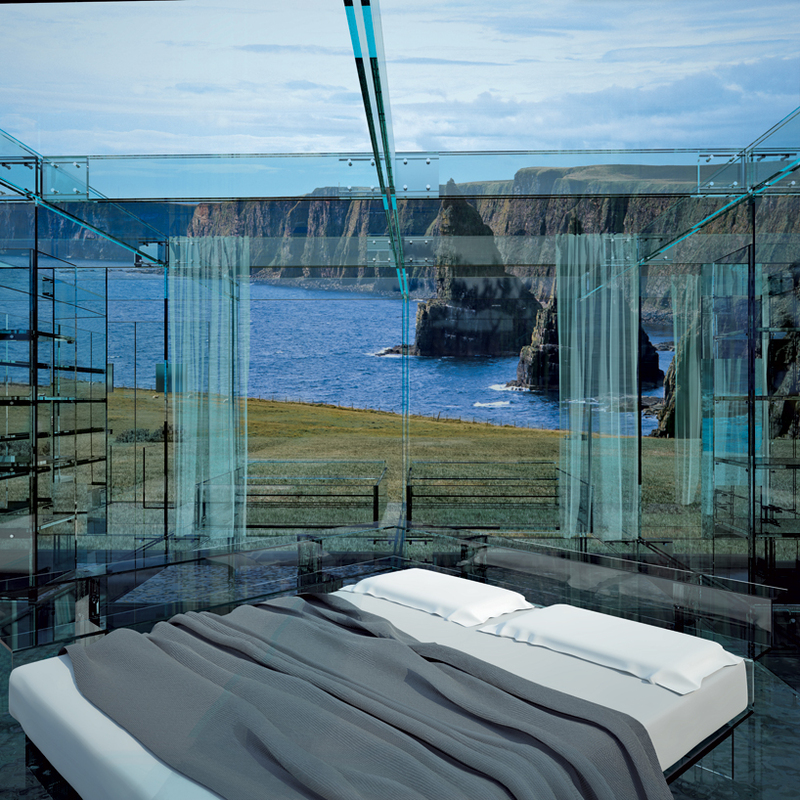 The transparent glass house concept allow inhabitants to be completely immersed in surrounding nature. Every building's detail is composed of structural glass pieces, except for the ground floor. With the touch of a button, the glass panels instantly change transparency for privacy, and hidden sliding curtains allow visually close individual rooms.